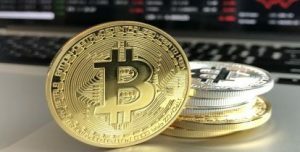 How To Invest In Cryptocurrency - Should I Invest In Cryptocurrency? Cryptocurrency is a type of digital currency which can be used for exchange or purchases. It uses cryptography for security, making it harder to counterfeit. In recent months, cryptocurrency options such as Bitcoin, Bitcoin Cash, Litecoin and Ethereum have become very popular, and you may also be asking yourself whether you should invest. One of the advantages of cryptocurrency is that, unlike many currencies, it is not tied to a specific nation. Some experts think it may eventually replace traditional currencies such as the dollar. Cryptocurrency allows for easy purchases across the border without the need for exchange rates, and it avoids some of the security concerns of traditional money. However, investing in cryptocurrency is not without its risks. When you invest in cryptocurrency, you are essentially investing in the possibility of this form of money replacing traditional tender. If one of the cryptocurrencies becomes a dominant form of payment internationally or if a country, or multiple nations start to keep cryptocurrency as part of their monetary reserves or replace their reserves, the value of cryptocurrency will increase very rapidly. Already, the value of some cryptocurrencies has increased dramatically. The value of Bitcoin, for example, has increased 25,000% since 2011. Between May 2016 and July 2017, the value of Ethereum increased 2,700%. Deciding to invest is a challenging idea. In late 2017 and early 2018, investors saw their investments in Bitcoin drop dramatically, in some cases losing half the value. The cryptocurrency market is highly volatile. This is not an investment you want to make if you are risk-adverse. It is likely there will be more downturns over the years. You also need to have a realistic view of investment. It can be tempting to look at the four-digit increases in value and assume you can get many times your investment. As with every type of investing, you need to understand what you are doing and what your goals are. Before you invest, you will want to realize cryptocurrencies are largely unregulated. As such, it is difficult to predict how regulation may take place and what impact that might have on investments. There is also a possibility that a vulnerability or security problem will be found or even that cryptocurrencies will be made illegal in some parts of the world. They may simply not be adapted as widely as some expect. That said, early adopters are most likely to make the largest profit, and it is possible to earn thousands or more from cryptocurrencies. However, keep in mind that it’s also possible to lose that much. If you decide to invest, make sure you invest an amount you can afford to lose if there is a sudden downturn. In addition, develop a strong understanding of the markets or work with a professional to ensure you have a diversified and practical approach to investment. You should invest in Bitcoin, Bitcoin Cash, Litecoin or Ethereum if you believe the experts who think the traditional currencies will eventually become obsolete and if you are willing to learn about the technology. Bitcoin (BTC). This is the original cryptocurrency, and until 2016, it dominated the market. Due to the rise of other options and internal issues, however, it has declined to 40% of the market share. Bitcoin uses blockchain technology solely to offer a digital payment system. Bitcoin Cash (BCH). Created in August 2017, Bitcoin Cash is a fork in Bitcoin that allows for faster processing of transaction, especially larger transactions. Litecoin (LTC). Created in 2011, this cryptocurrency also operates on a blockchain. The network of this cryptocurrency is faster, and the fees are smaller when compared with some of the other players in the market. Ethereum (ETH). Ethereum uses blockchain technology for more diverse applications than Bitcoin. Miners work for a token known as Ether. Ether is a cryptocurrency and tradeable asset, but it can also be used to pay for services and fees on the Ethereum network. You have the option of purchasing one or multiple cryptocurrencies to build a whole portfolio. If you are ready to buy, sell and exchange, you can do so by using a digital currency exchange. As these investments become more popular, more options will become available. To purchase, apply for an account for one of the exchanges, verify your identity and buy digital currency using your checking account or credit card. Some exchanges are also offering numerous lesser-known cryptocurrencies. When looking at an exchange, keep in mind this is an unregulated industry, so if you choose an exchange in another country, you may be at the mercy of that nation’s laws if the exchange closes or goes bankrupt. Choose an exchange that offers some consumer protections. If you’re ready to start investing, Money Help Center has free resources to help you. Use our free calculator to create a budget so you know how much you can invest. Compare traditional types of investments, so you can see how much you can earn from a retirement account, stocks or other options. Comparisons and hard numbers can help you make smart choices with your money.